Le Klint 172 pendant light is perhaps the most well-known Le Klint lamp. It dates back to the 1960s when Jan Klint, the managing director of Le Klint at the time, realised that even classics need new incentives. A young student of architecture and a shining talent in design, Poul Christiansen, turned up and brought models for a range of modern and magical lamps with him. With their seemingly random order, the flowing lines of the 172 range create a strong contrast to the straight folds of traditional pleated lamps. 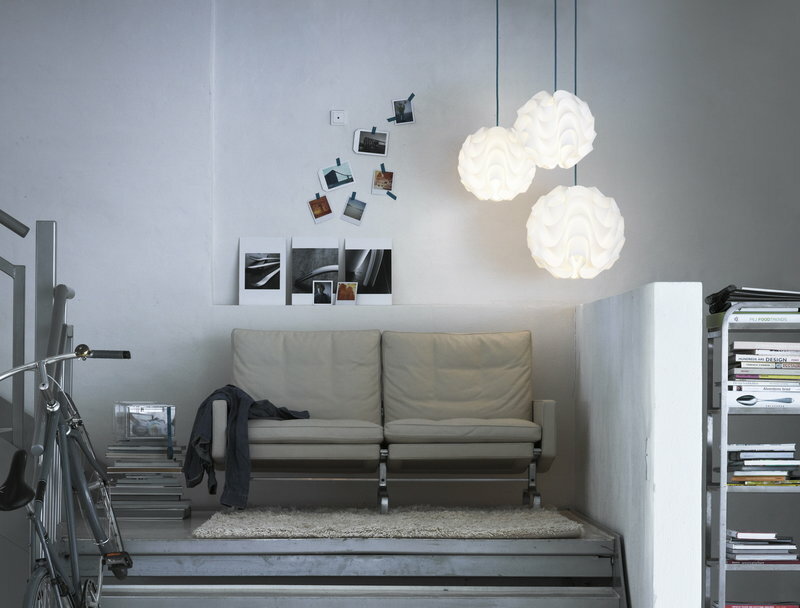 The first 172 lamp was released in 1971, and new sizes have been added to the collection also the 21st century. Poul Christiansen (b. 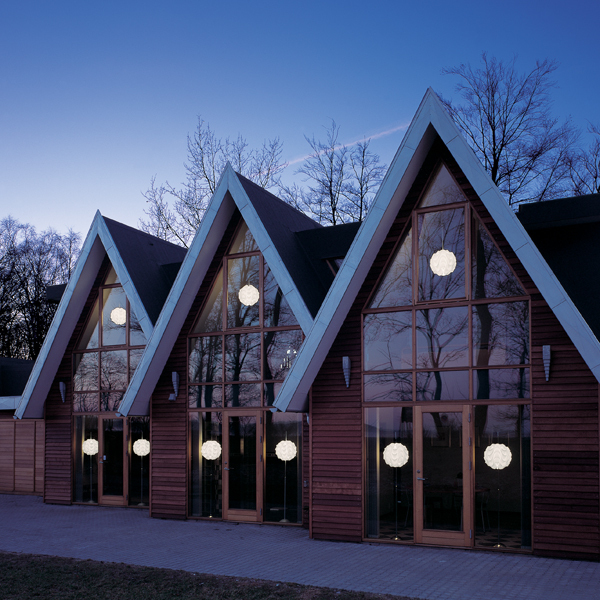 1947) is a Danish architect who graduated from the Royal Danish Academy of Fine Arts in 1973. He worked in architecture and design for Ib & Jørgen Rasmussen from 1977 to 1986 and founded Komplot Design together with Boris Berlin in 1987. Poul Christiansen is mostly known for his innovative lamp shades designed for the Danish manufacturer Le Klint. 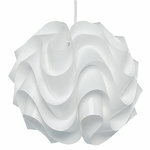 Between 1969 and 1987 Poul Christiansen brought innovative and exciting dimensions to Le Klint’s lamp shades. Prior to his involvement the shades had been folded in pleats and in straight lines across the pleats. 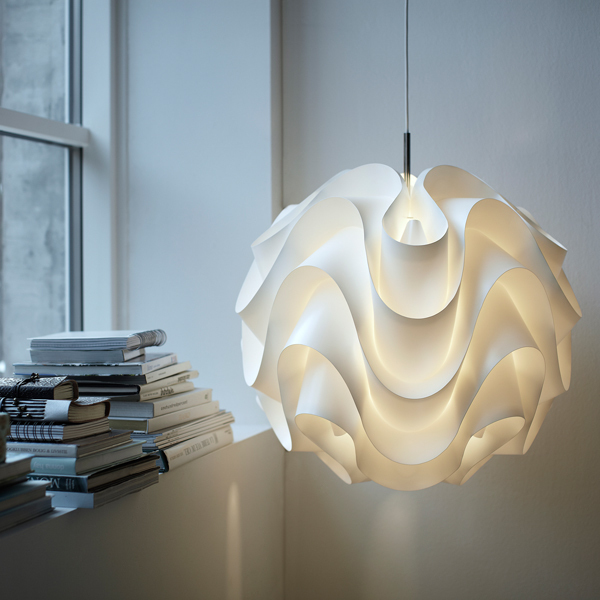 Poul Christiansen discovered that folding in mathematical curves gave the lamp shades beautiful and unique sculptural shapes. 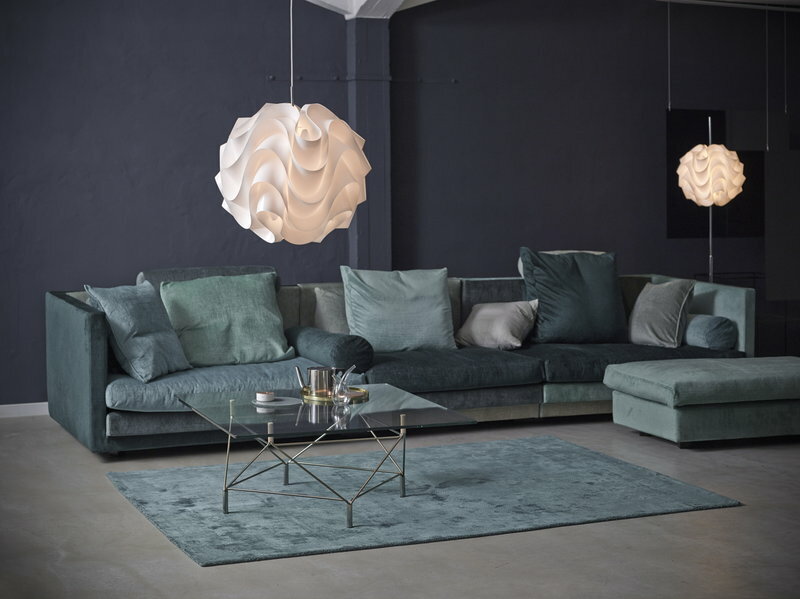 His most famous creation is the Sinus Line series for Le Klint, which includes lamps such as the 172 with its different versions, developed by combining sine curves in such a way that they formed a lamp shade when folded. Poul Christiansen continues to design new lamps for Le Klint and in 2006 he designed the wall lamp model 215 – allegedly inspired by the Sydney Opera House. 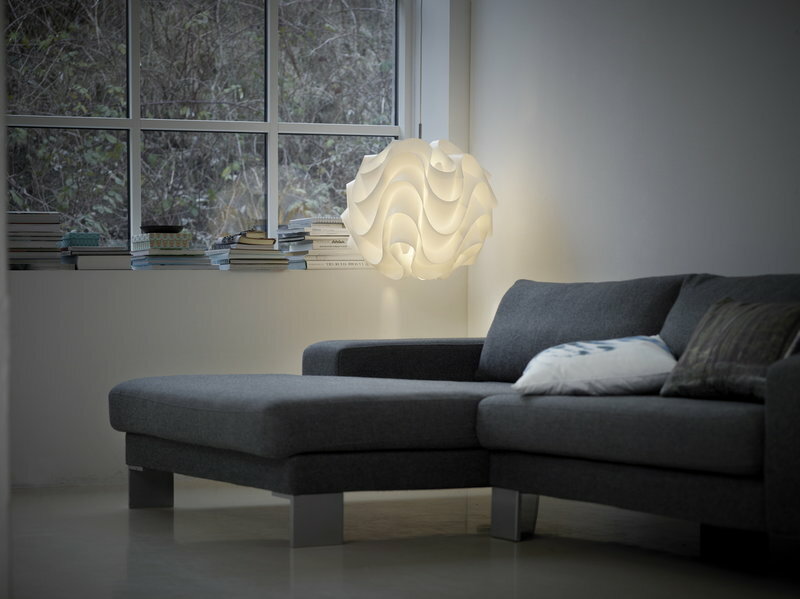 Later in 2008 this lamp was introduced in a moulded plastic version for outdoor use. 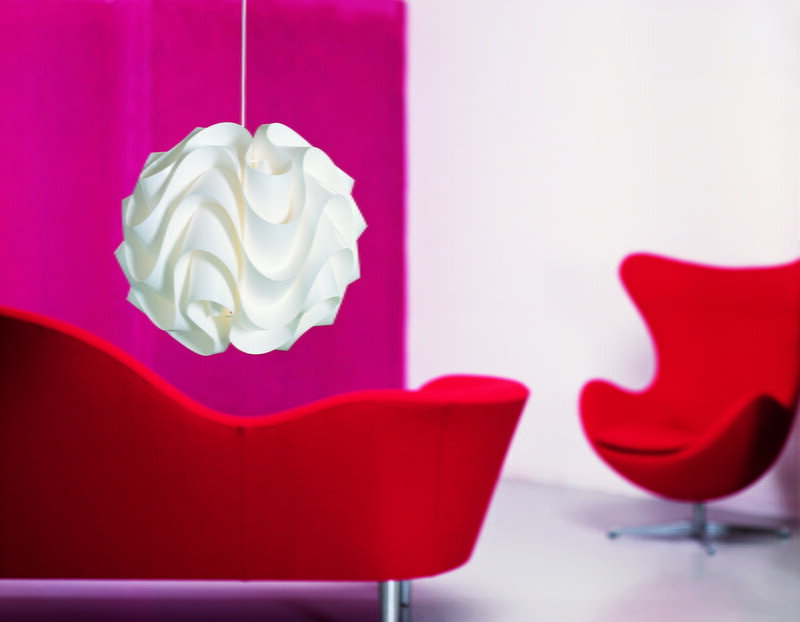 Over the years Poul Christiansen has designed a number of Le Klint lamps and in the mid 2000 he evolved the soft folded curves creating the Elysion light sculptures. These lights are hand-folded from one sheet of lamp shade foil and thus represent genuine craftsmanship like other lamp shades made by Le Klint. The Elysion light sculpture is also available in an outdoor version.